Park Silly Sunday, Fun Day! Today we spent another morning chilling around the fire at the condo before we headed out to Park Silly Sunday, a market on Main Street. The market included booths featuring art, hats, jewelry, produce, clothing and more. At the end of the block, live music played on the stage while folks took a try at hula hoops and ordered bloody mary’s, fried donuts, and jerk chicken at the food stands. I got to catch up with a sorority sister of mine that I hadn’t seen for 20 years. Thanks to Facebook, I knew she moved to Park City about a year ago, so we planned to meet up at Park Silly Sunday. Fun! 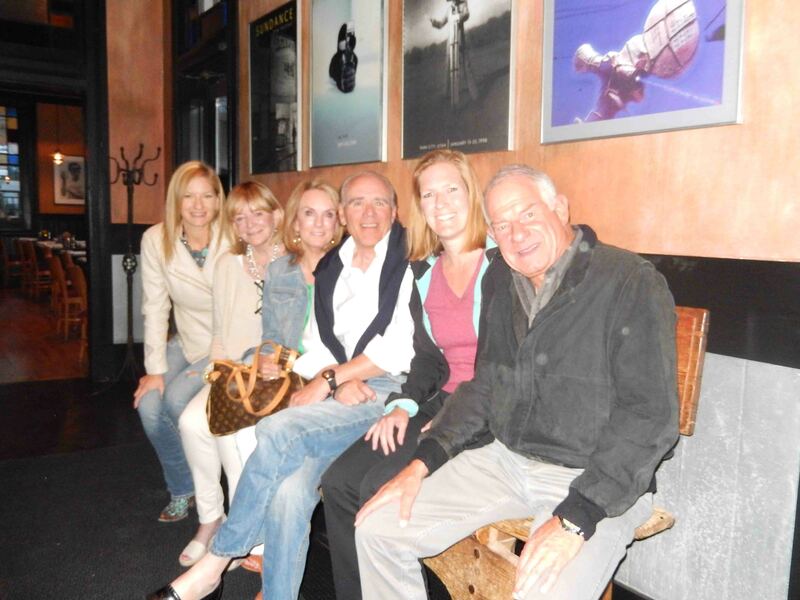 After an afternoon at Park Silly Sunday, we enjoyed a final dinner at Zoom, owned by Robert Redford. It took me until halfway through the dinner to figure this out, so it did not influence my opinion on the food. I thought it was absolutely fantastic regardless of the famous owner! I ordered tuna tacos that were served with mango salsa and the best guacamole I’ve ever tasted. The macaroni and cheese with bacon is a must! The artichoke was delicious as well. The elk carpaccio could have been served with some basalmic vinegar with a little less oil, but was also good. I understand the ravioli was delicious too. Their new summer menu didn’t disappoint!